To whom much is given, much is required, a philosophy Maria Hernandez, PhD, has chosen to live by. 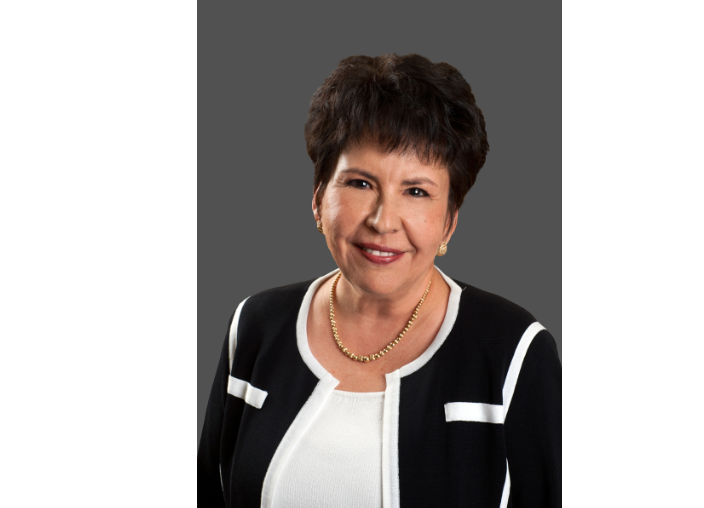 On Saturday, March 30, Hernandez, Alameda Health System (AHS) Board of Trustee member and President of Impact4Health, will be inducted into the Alameda County Women’s Hall of Fame. Hernandez has made it her life’s work to level the playing field for the disenfranchised in all areas including healthcare and the workforce. Women inducted into the Hall of Fame are recognized for their outstanding achievements and contributions to Alameda County and its residents. Twenty nine percent of Alameda County residents live below the federal poverty guideline. Hernandez is fully aware of the fact that social determinants of health such as economic stability and education make a huge difference in a person’s overall well-being. While she did not grow up in the most affluent family, her immigrant parents were able to provide the basic tools she needed to be successful. However, she knows everyone does not have this opportunity, which is one of the reasons she co-founded LatinaVIDA a nonprofit with the mission to inspire the next generation of Latina executives. In Spanish “vida” means life. But in LatinaVIDA, it is also an acronym for visibility, identity, determination and action. Hernandez feels it is a great honor to receive this award and is grateful to be able to use this this platform to continue to talk about the good deeds taking place at AHS and Impact4Health, but says her work is not complete.